As I might have mentioned, I was in Cape Town recently, speaking about websites for the Professional Speaking Association of Southern Africa. 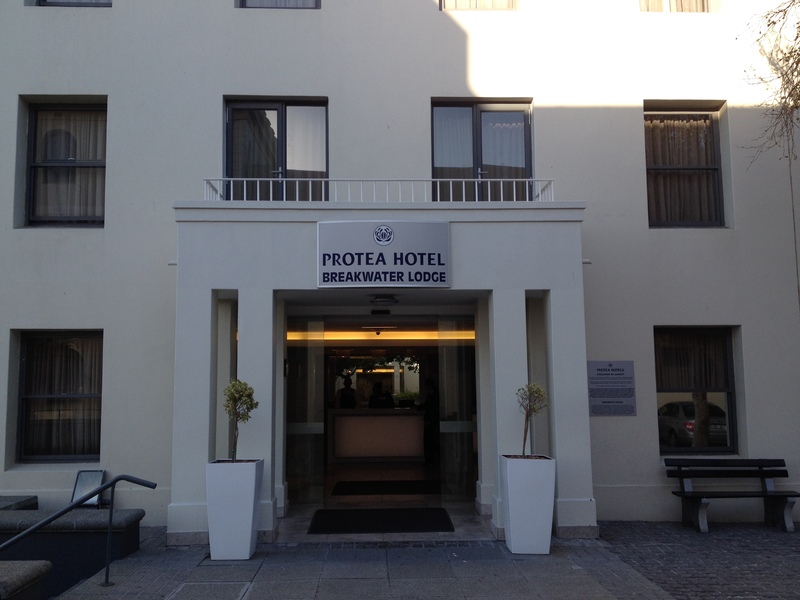 The convention had a ‘break out’ theme, and was held at the Breakwater Lodge, which used to be a prison. Almost as soon as I arrived, I was taken on a wine-tasting trip, followed by a braai (barbecue). So I didn’t get back to the hotel until late, feeling dizzy and strange after a 12-hour flight and the generous PSA SA hospitality. 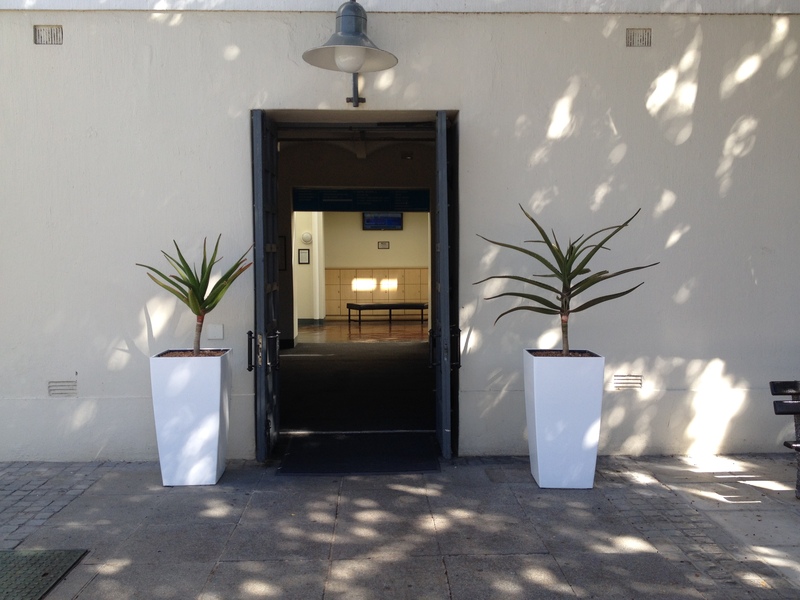 Here’s the entrance to the hotel reception where I checked in. It looks just like a normal hotel, doesn’t it? 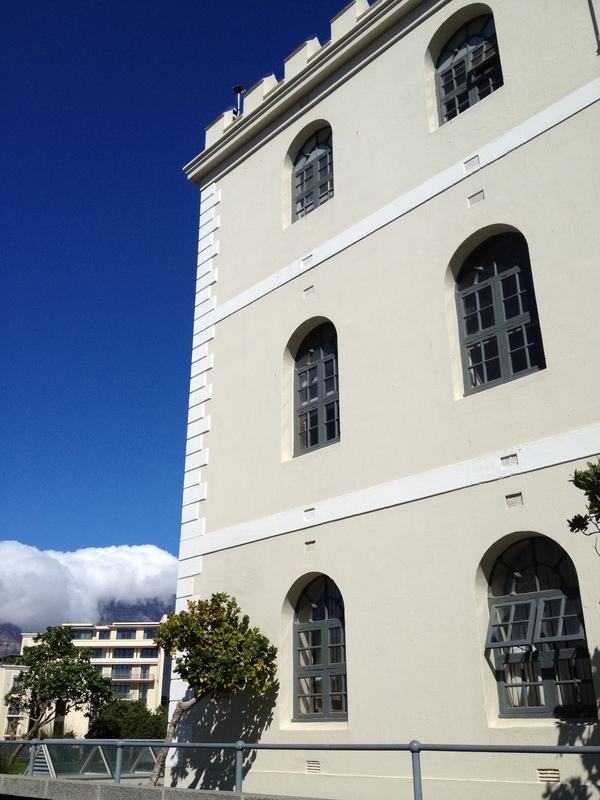 I turned around and saw the prison, with its crenellations around the roof and bars at the windows. Obediently, I wheeled my bags through the entrance. Walking as instructed along the corridor, I found the lift. Stepping out onto the second floor, I saw the room numbers as shown below. I was looking for 2221, so I set off along the corridor. However, the numbers ran out before I found the room. Remember, this was late, nobody was about, and I was tired (and perhaps ever so slightly squiffy). 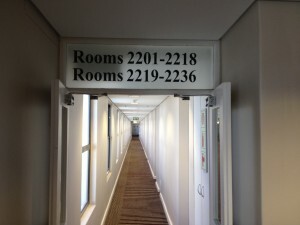 I trudged all the way back along the corridor to double-check the numbers. Maybe I’d mixed up my 2s and 1s? 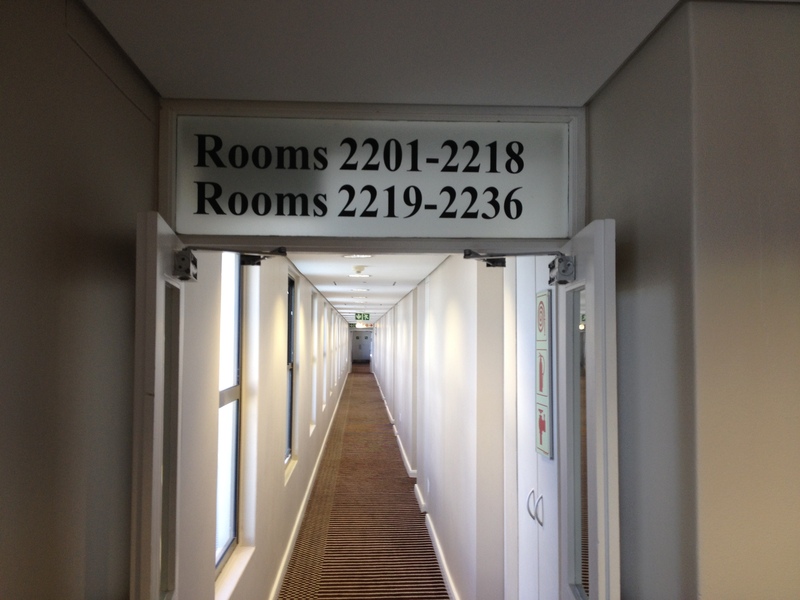 No, my room key definitely said 2221, and the signage definitely said this was the way to room 2221, so I walked all along the corridor again – but room 2221 was nowhere to be seen. 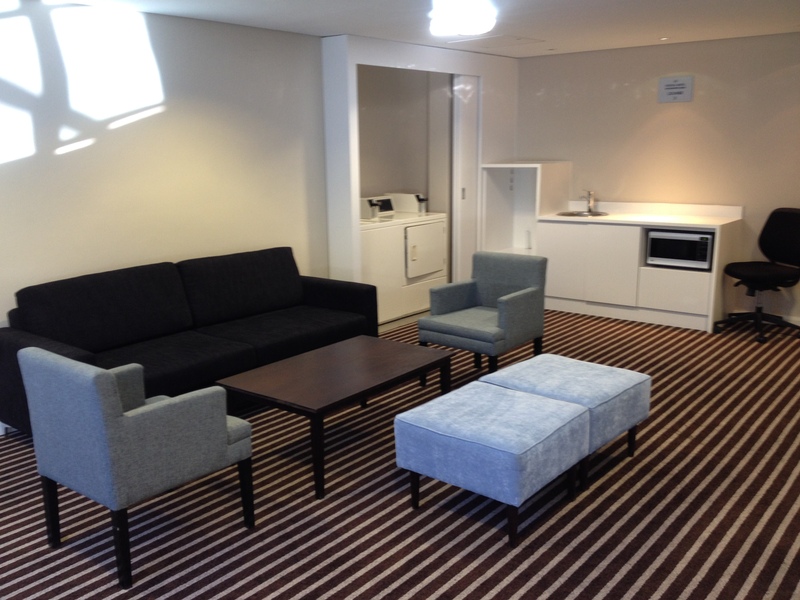 What was at the end of the corridor was a lounge. In the far corner of the lounge was a fire door. See the picture below. No signage. Doesn’t it look like the way to the fire escape, and not a very likely route to find more hotel rooms? 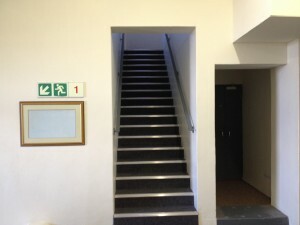 I hesitated, but the only option was to go through the fire door, so that’s what I did – scared that it might set off alarms throughout the building. Fortunately, it didn’t. 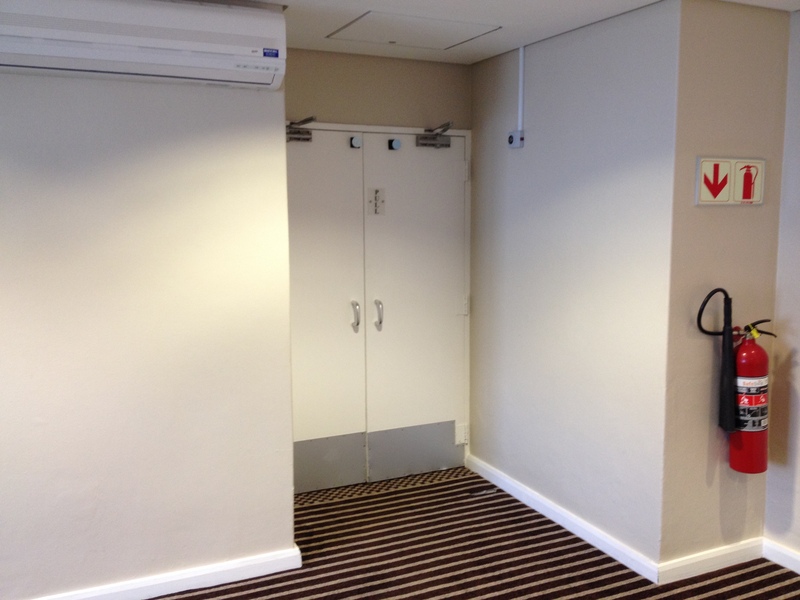 The fire doors led to another corridor. 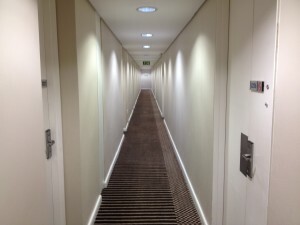 I walked all the way along, but this corridor didn’t include my room either. There was another lounge at the end, and another set of closed fire doors. 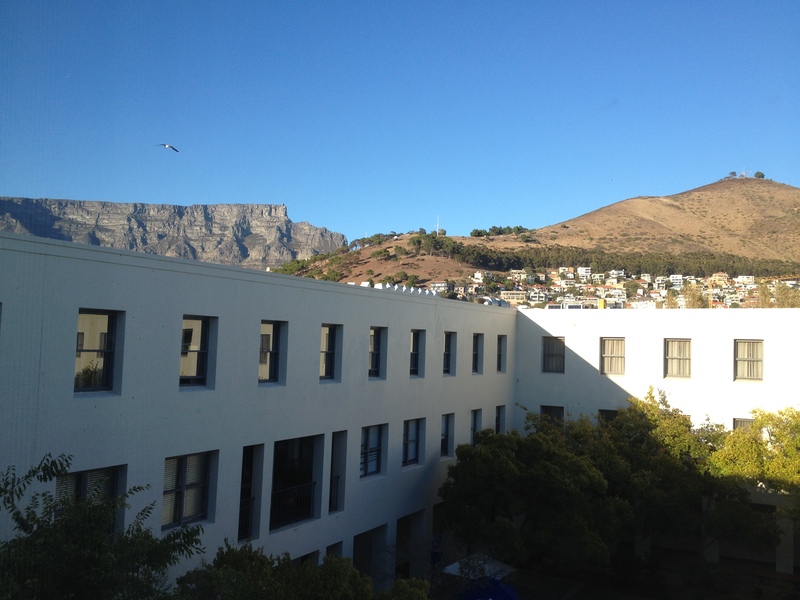 …with very nice views of Signal Hill and Table Mountain (past the cell windows of the other hotel rooms). 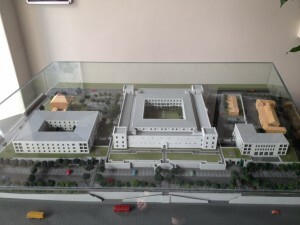 I discovered the next day that the prison building was constructed of four sides arranged around a quadrangle, as shown in the model below. The main hotel is the square building on the left. 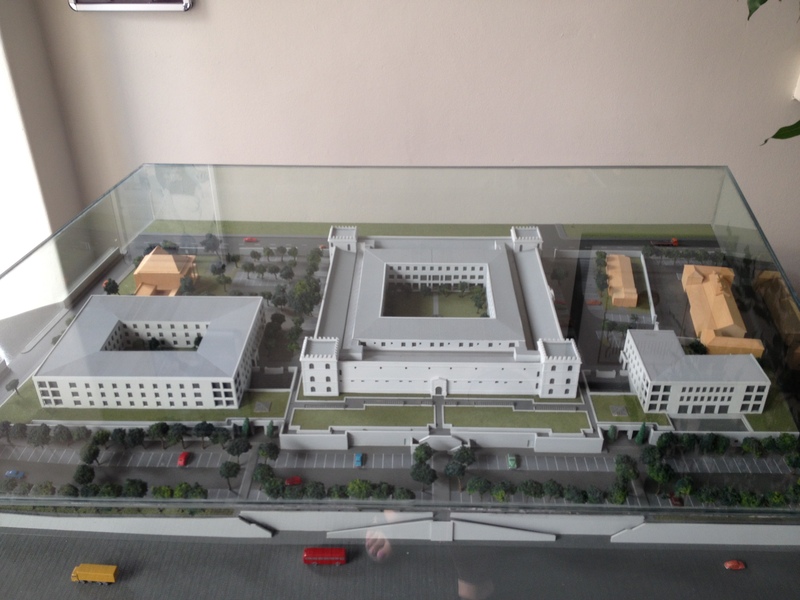 The conference (and my room) were in the square prison building in the middle. The restaurant was in the L-shaped building on the right. The lift was in the turret nearest the main hotel. 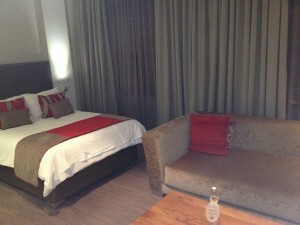 To find my room, I’d walked round three sides of the prison. 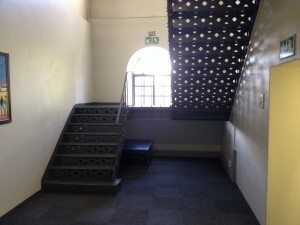 …and then taking another flight of stairs up to the second floor. You may notice there are no signs at all telling people this way leads to hotel rooms. It led to rather a disconcerting experience. Because the reception staff tried to be helpful by directing me to the lift, knowing I had heavy bags with me. They probably didn’t know all the fire doors had been closed for the night, and maybe didn’t know that the signage didn’t continue past the first corridor entrance. 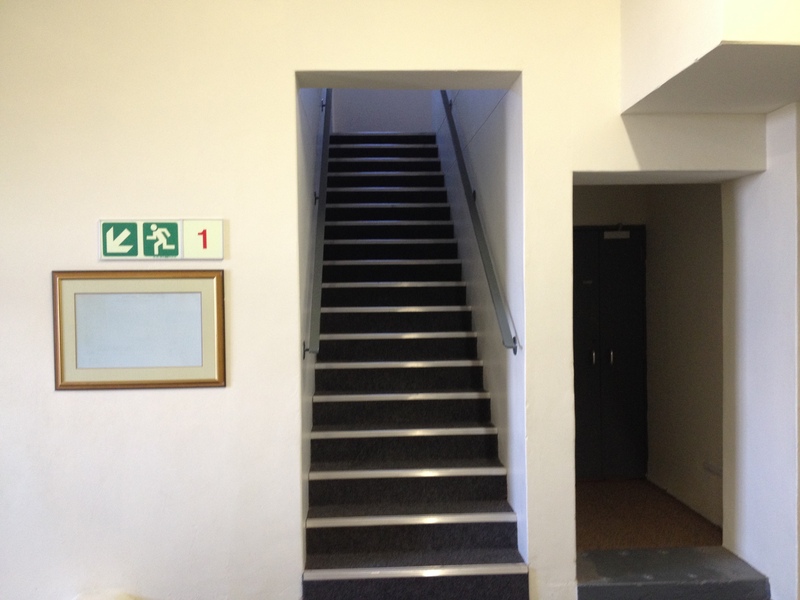 Because your building needs signage at eye-level that directs people around the premises. Because your website needs navigation that helps people find the page/s that are relevant to them. Because wayfinding is an art, a craft and a science. If you can’t do it yourself, ask an expert. I can recommend someone if you wish. Just ask. P.S. I took the pictures on a later day, to illustrate this story. No problem. The ‘trustees’ were fantastic during the rest of the convention!